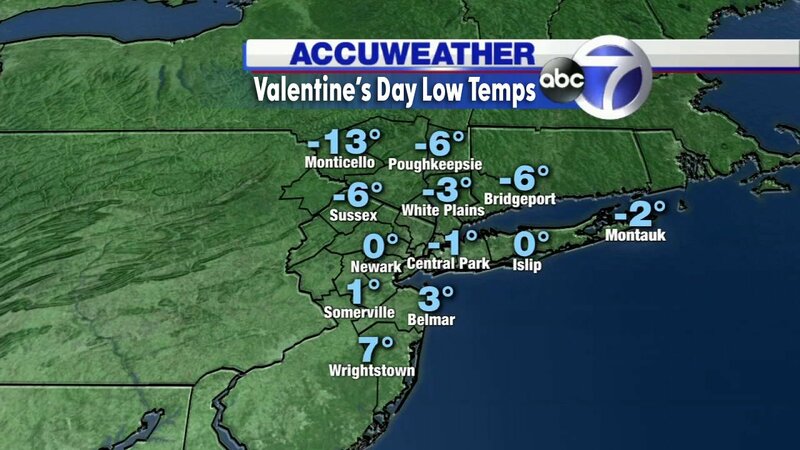 CENTRAL PARK, Manhattan (WABC) -- Valentine's Day of 2016 will down as the coldest in New York City's history. 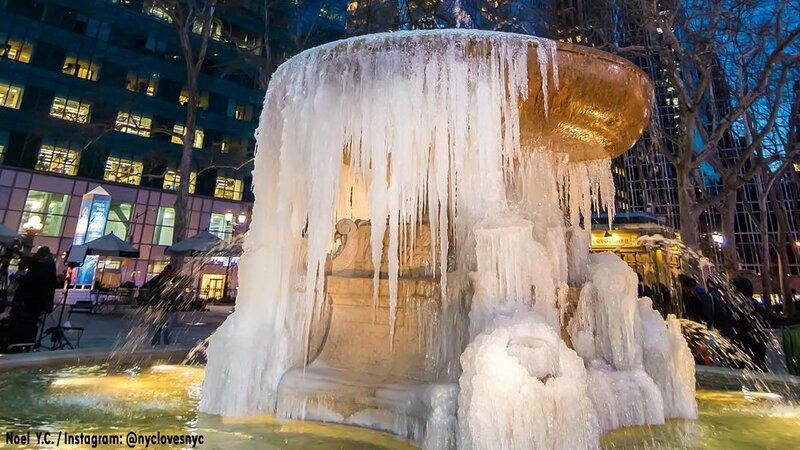 The low temperature Sunday dipped to -1 degree at Central Park in Manhattan, breaking the previous record of 2 degrees set 100 years ago on February 14, 1916. The coldest spot was Monticello in Sullivan County, New York, where low temps hit -13 degrees. Sunday was also the first time New York City has dipped below zero in more than 22 years. The last time the city was sub-zero was January 19, 1994. The good news: The cold isn't sticking around. AccuWeather meteorologists said there will be a snow event Monday night, with temperatures warming up into the 50s this week.